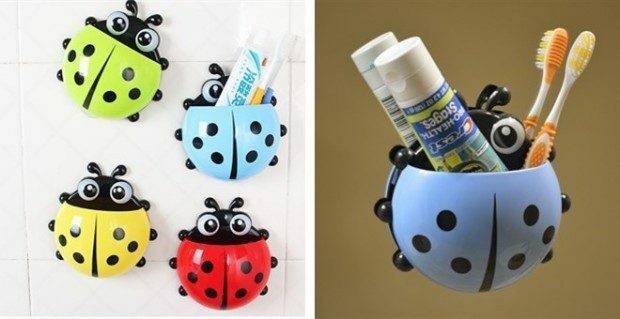 Ladybug Toothbrush Holder Just $3.99! You are here: Home / Great Deals / Ladybug Toothbrush Holder Just $3.99! These playful Ladybug holders are available in 4 bright colors. Handy in the bathroom, they attach to most smooth surfaces with the clear suction cups provided. Get one of these Ladybug Toothbrush Holders for Just $3.99!! Big enough to fit toothpaste and a brush or two, they bring the fun back to teeth brushing. At this great price you can buy separate colors for each child!